Despite colder temperatures that we can experience this month, it’s still okay to plant trees and shrubs from containers. 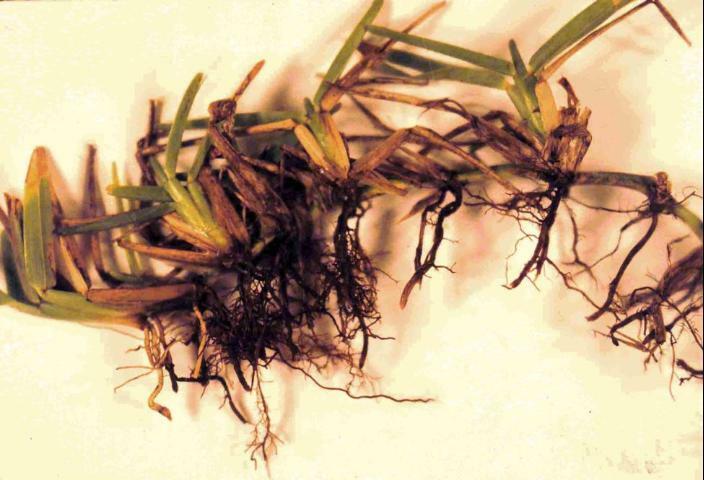 The roots are better protected in the ground and will quickly grow outward to establish as compared to being exposed to cold temperatures above ground, confined in a container. But be cautious about planting cold sensitive tropical plants too soon while freezing weather is likely. Bare-root trees and shrubs (those with no soil attached to the roots) should be in the ground promptly. This includes bare-root nut and fruit trees, pine and hardwood tree seedlings and bare-root roses. Dormant season planting allows time for establishment before hot weather arrives. Late February is a good time to prune overgrown shrubs such as ligustrum and holly. These plants usually respond well to severe pruning and can be pruned almost to the ground, if necessary. But remember, they will eventually regrow to their larger size. Prune to shape and thin broadleaf evergreens and deciduous flowering trees such as oleander, crape myrtle and vitex. Avoid severely pruning narrow leaf evergreens such as junipers because they have few buds on old wood from which to form new growth. Mid-February is a good time to prune bush roses, removing dead or weak canes. Leave several healthy canes and cut these back to about eighteen inches. Delay doing much pruning on early spring-flowering shrubs such as azalea and spirea until shortly after they flower. Pruning these plants now will remove present flower buds before they can open. Prune deciduous fruit trees such as peach, plum, apple, etc. 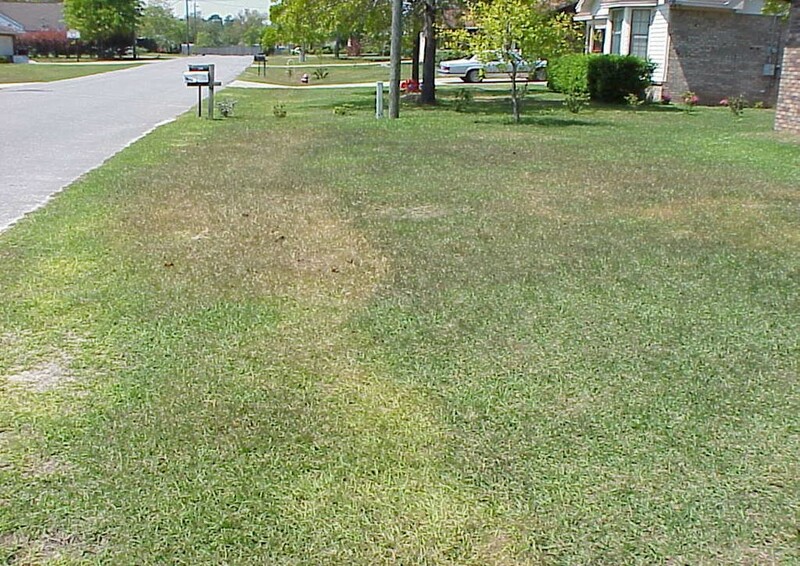 If your lawn has had a history of problems with summer annual weeds such as crabgrass, apply a pre-emergent herbicide. This should be done February 15 to March 1 when day temperatures reach 65° to 70°F for 4 or 5 consecutive days. A second application may be needed eight weeks later. Many people fertilize their lawns too early. Wait until April to fertilize to prevent lawn injury and for the most efficient use of the fertilizer. It’s Fall… Now what Do I Do with my Lawn? While yard work is important to maintain an attractive lawn, if done successfully, the resident can spend quality time in other pursuits like watching the wildlife from the front porch. With the passing of September the end is in sight, well at least the end of summer, and hopefully summer-like weather. The hot humid days of August gave way to the hot humid days of September,now October, and the Florida Panhandle is finally experiencing cooler temperatures. At least temporarily. Days have shortened noticeably and the plants have noticed. Foliage growth has slowed and seed production is in overdrive. As the season slowly shifts, the needs and care for the lawn and landscape are changing too. Inputs need six months ago and environmental factors which were true in the spring are now being altered by the immutable and timeless forces of nature. Fertilizer is one factor which must be considered in light of the dormant season’s approach. Inappropriate or excessive application will waste resources and end up in the water supply where it will do no good. As many warm season grasses and plants are reducing their growth rates to prepare for winter, the need for nutrients slows. Nitrogen, the first number on a fertilizer tag’s list of ingredients percentages, is especially vulnerable to misuse by the well-intended but inexperienced or uninformed person. Over application of nitrogen will promote the aggressive growth of tender green foliage in the lawn. If a frost or freeze occurs when the tender vegetation is presence, the plant will experience excessive damage or death. The directions on home and garden fertilizer bags, and soil test report all recommend restricting or eliminating nitrogen application late in the growing season. This is sound advice. Herbicide use changes in the late summer and autumn also. As with misapplied fertilizer, misused herbicides will waste resources and can end up in the water supply. Weeds and other targets of herbicides must be actively growing for the herbicide to work effectively. Late summer and fall can present challenges to effectively applying herbicides. With very few exceptions, plants must be actively growing for herbicides to work properly. Plants slowing towards dormancy will not absorb as much herbicide and may, species depending, be completely immune. Herbicides do not work on plants which are under drought stress. It is important to remember early fall is the driest time of the year in panhandle Florida, nature’s way of forcing a fall growth shutdown. Yard waste and grass clipping will help refresh mulch in flower beds and on tree root zones. The summer heat and humidity have combined with bacterial activity to breakdown the current supply of mulch. The on-site utilization of yard waste as mulch or as a basis for compost is a good practice to establish. It will benefit the landscape and reduce the multiple layers of expenses required to collect, haul and dispose of this material. If properly composted, the material reduces the chances of introducing weeds, insects and diseases which can be on commercial products. Another way to look at the subject is “What is produced in the Florida Panhandle stays in the Florida Panhandle…and saves everyone money in the process. While Septembers early weeks were just as oppressively hot and humid as August, relief seems to be here. 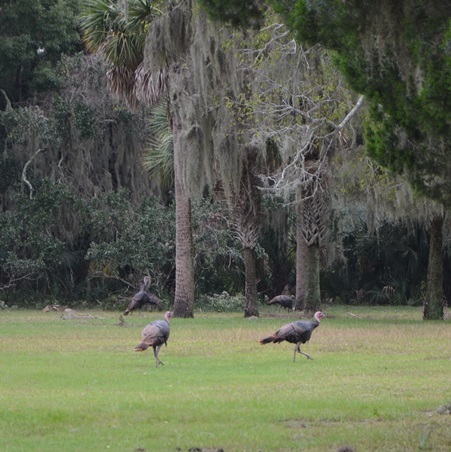 Be ready to spend the cooler days enjoying a private bit of paradise in Northwest Florida without worrying about problems which could have been avoided. To learn more about getting the lawn and landscape ready for autumn, contact your UF/IFAS Extension Office. The crisp air of fall is upon us. Maybe. We live in northwest Florida and we are not experiencing the change in weather just yet. With the change in weather coming, we are having specific issues in turfgrass lawns and are sure to have others in the near future. 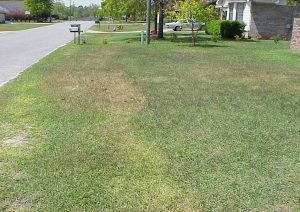 Extension agents in the western panhandle have come into contact with several St. Augustine lawns with symptoms and signs of take-all root rot (Gaeumannomyces graminis var. graminis) and we can soon expect with cooler temperatures for Large Patch to be rearing its ugly head. For any other information needed regarding proper lawn management, please visit Your Florida Lawn or contact your local UF/IFAS Extension office.